God is my portion, and my cup: Hear God's Invitation, and Make Highway In Heart For Him. Hear God's Invitation, and Make Highway In Heart For Him. The three wise men worshiped the newborn king, the Messiah, Our Savior, who was in the manger. It was not the place for any newborn kings. The three wise men offered the three gifts: gold, frankincense, and myrrh. The gifts foretold the life of the newborn king, Jesus Christ, Our Lord and Savior. The newborn king was truly the king of kings. His kingship is not just of this earthly world, but His true identity was His Divinity of God. Jesus was in fact God in flesh. Although the people in the land of Judea did not notice the coming of the newborn king, Jesus Christ, the three wise men from a far country knew His coming as a newborn king. However, the three wise men and the Shepherd searched out and found the newborn king, the Messiah. How did they know the birth of the Messiah? God revealed this Good News to them through the prophesy and the angel appeared with the heavenly hosts. Yes, the same prophesy was given to the people of Israel long time ago also. However, their eyes were blind to the truth, and their ears were deaf to the Good News. Indeed, King Herod was deeply disturbed when he heard that the true king, the Messiah was born in the land of Judea, as was everyone in Jerusalem. They were in fear of the newborn king, the Messiah. How about us? Are our eyes blind and our eyes deaf to the Good News? Are we truly ready for receiving the King, Our Savior, Jesus Christ? Or are we in fear of losing our kingship of our lives due to the birth of the True King? If our hopes and desires are only of this world, the answer is so obvious. We will be terrified in fear of the newborn king like King Herod. King Herod tried to kill the newborn king, and he enticed the three wise men by telling, “Go to Bethlehem and search carefully for the child. And when you find him, come back and tell me so that I can go and worship him, too!” Every word by word, it came out from the mouth of King Herod with a pure evil intention of getting rid of the newborn king, even though it sounded good to the ears of those without the knowledge of King Herod’s true intent. Of course, the three wise men did not know the evil intent, and they acknowledge to the king. Then they continued following the star. They met the newborn king, Our Lord, the Messiah, and truly rejoiced. Their faith led to the Messiah. 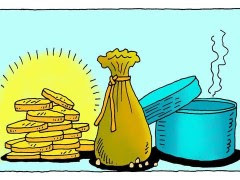 First, they gave the gift of gold to signify His true kingship over all. The second gift was frankincense. Frankincense is a white resin. It is obtained from a tree by making incisions in the bark and allowing the resin to flow out. It requires intentional hurting of a tree, not just harvesting from branches like fruits. Because of the piercing incisions, a tree gives out precious frankincense. When frankincense is burned, it produces an aroma, while it is being reduced to nothing. At that time, frankincense was offered as a pleasing aroma to God. The second gift, frankincense foretold the life of the newborn king, who would be offered like frankincense by being reduced to nothing (i.e., being crucified and killed) before God. Jesus Christ came to this world not to be served, but to serve those who are in pain and suffering, and searching for salvation from the pains and sufferings. The world is full of pains and suffering, which nobody can deny. Numerous people (in fact everyone ever lived) have made all kinds of effort to avoid or get rid of this world’s pains and sufferings. Nobody has ever succeeded. Pains and sufferings have been always with us, and as long as we are on earth, they will live with us forever. This is the cold reality. Out of love, God gave hope. The three wise men saw the star of the hope, and they followed. They went through wilderness, deserts, mounts and valleys, and King Herod. But they were not deterred. 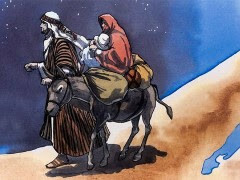 They continued their journey for the hope to see the Messiah, and finally they could see the newborn king, the Messiah. In fact, the newborn king was not an ordinary king, but God in flesh, who came down to earth in order to offer Himself as a random for many. This is the love of God. The newborn baby was the marvelous sign and the greatest gift to all mankind ever from the Most High, God, Our Ever-Loving Father. Through Him, the hope of salvation came true, and those who believe this Good News are saved. Yes, this Good News is truly marvelous. Why? There is a saying, “there is no free lunch.” In other words, nothing is free. There is always something attached, although a thing is offered free. Thus, if somebody comes up to us and offer a thing free, then we immediately think why, and we feel suspicious about the motive of the person. This self-protection and preservation reflect the cold reality on earth. However, there is one exception: the birth of the newborn King. The newborn King came to freely offer Himself to save us from all our sins and the world of pains and sufferings. This is truly marvelous, and a completely new love of God toward us was revealed. The newborn King, Jesus Christ, came to serve, not to rule over us. 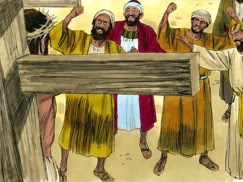 Instead He gave Himself as a sacrificial ram carrying all our sins and transgressions and offered up to be burned. Have we heard about an earthly king serving his people and offering Himself as a sacrifice for his people? Soon Jesus Christ had to fled to Egypt by the hands of Joseph and Mary. The three wise men returned to their own country by another route, for God had warned them in a dream not to return to Herod. After the wise men were gone, an angel of God appeared to Joseph in a dream. “Get up! Flee to Egypt with the child and his mother,” the angel said. “Stay there until I tell you to return, because Herod is going to search for the child to kill him.” That night Joseph left for Egypt with the child and Mary, his mother, and they stayed there until Herod’s death. Soon King Herod realized that the wise men had outwitted him. He was furious, and sent soldiers to kill all the boys in and around Bethlehem. God protected the newborn king, Mary and Joseph, and the three wise men from the brutal hands of King Herod. 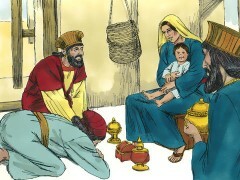 After the death of King Herod, Jesus Christ returned to Nazareth with Mary and Joseph. He grew up not in a wealth family, but a poor carpenter family. At age thirty, when Jesus Christ started his own ministry, He first approached those who were poor, mourn, were humble, hunger for justice, and were persecuted. For Himself, He had nothing on earth. His bitter life of myrrh was finished at the cross. However, His bitterness was our blessings. Our salvation was completed at the cross because the one who did not have sin at for all our sins was sacrificed for us. God is continuously giving out invitations to all, which leads to His Salvation freely given through Jesus Christ, Our Savior, the Messiah. What we need is to just accept the free gift. Here is how to receive the free gift of the salvation from God, Our Loving Father. First, we clean up our heart to prepare room for Jesus, the Messiah and Savior. Nobody is immune to the world. The world continuously makes our heart into a wilderness, in which we are wandering. The Israelites saw the Promised Land, but their unbelieving hearts made them back to the wilderness and wandering for the next forty years till the first Exodus-generation perished on the wilderness. They could not see nor touch the Promised Land again. Second, we ought to make a straight highway in our heart for Our God so that He dwell in us. Yes, Jesus came to us to serve and offer His life for us. This marvelously Good News often lives in our head only as knowledge, which will not lead us to a true joy of salvation and the eternal hope. Our hearts need to be cleaned, and give Him the kingship of our lives completely and fully. This is our way to make a straight highway for our God. Do we continue living in the wilderness, where no true life exists -- wandering to eventual death? 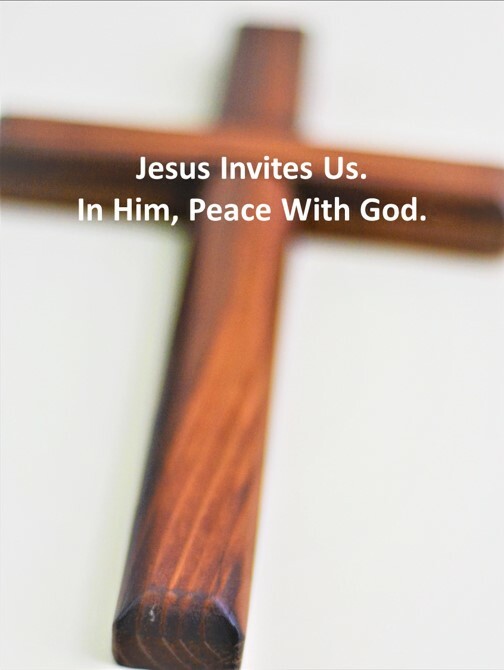 Only comes from God the true life and peace with God, which is the gift from God. Advent -- Emmanuel! God Is With Us Always. Advent -- Long Expected Jesus!